The client is a small, historic tourism county in Central Texas located between Houston and Austin. The client is well known for their scenic wildflower routes, historic significance, and ice cream factories. Historically, the client used too many different marketing and messaging techniques that diffused the brand by having too many messages that weren’t focused on the same topic. This high volume of mixed messages resulted in a destabilized brand identity and confused tourists and locals alike. The client’s approach of marketing all things about their town to all people caused them to inadvertently weaken their brand and message and lose valuable tourism dollars. MindEcology was faced with focusing the client’s apparent lack of marketing direction into one succinct message with marketing concepts that were relevant and logical to the client’s cause. In order to begin fixing the clients marketing plan, MindEcology took all people in the county related to tourism through a formal brand review and audit. Essentially, MindEcology interviewed county stakeholders, which included hoteliers, city council, storeowners, and the tourism department. During these interviews, MindEcology took the stakeholders through a number of proven branding exercises and questions designed to uncover the simple truth about what the county has to offer. Additionally, MindEcology examined the positioning of the county’s direct competitors to see what positioned categories were available. This examination allowed MindEcology and the client to see what their competitors were advertising for and which characteristics the client also possessed. Along with this, MindEcology examined the immense history of the county’s advertising messages. 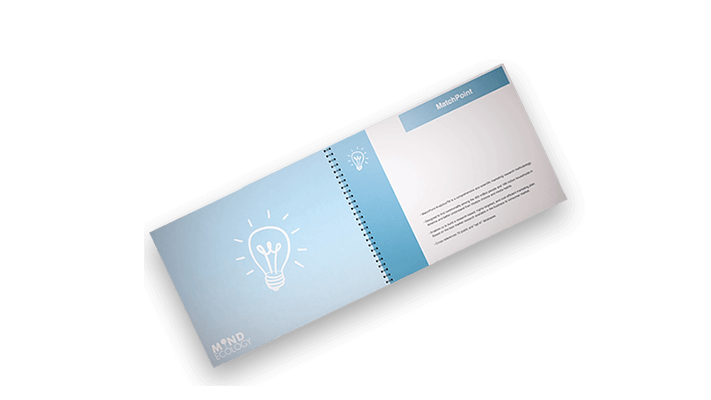 The client presented MindEcology with all of their print and radio ads, from which MindEcology discovered that the messaging was extremely inconsistent. These old advertisements were helpful in pinpointing the root of the business issue and helping the client to begin rebranding their county. 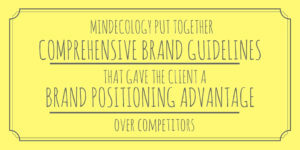 After interviewing county stakeholders, examining the direct competitors, and exploring the county’s previous advertising campaigns, MindEcology was able to put together a comprehensive brand guideline and positioning recommendation for the client. Thanks to MindEcology, the client now has a clear, concise, singular brand message for the county. The client now markets a message that they are a place to go to reconnect with “each other and nature,” and this clear direction gives them a brand positioning advantage over their competitors.